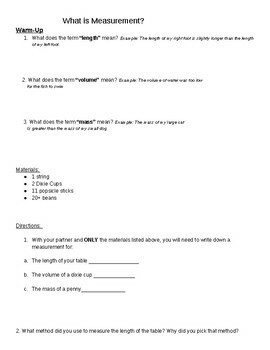 This activity allows students to measure objects in the classroom using non-conventional units (ie. popsicle sticks and beans). 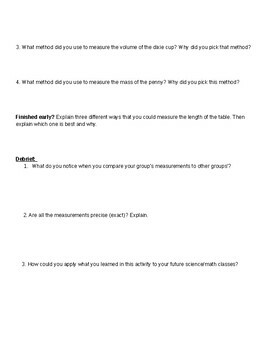 Through this activity students learn why precision and accuracy are important and why using the same unit system as others is valuable in science.